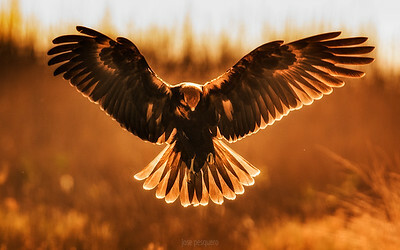 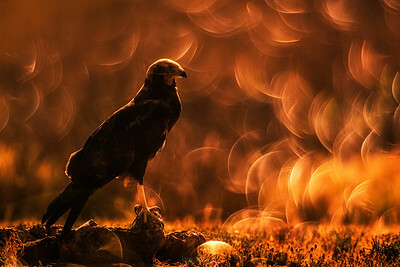 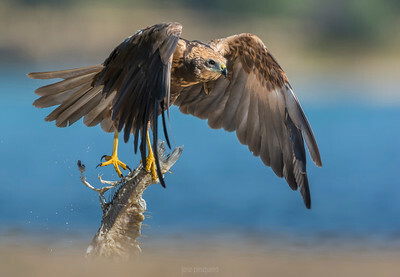 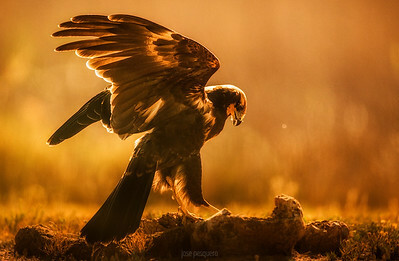 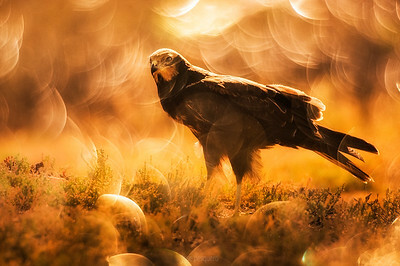 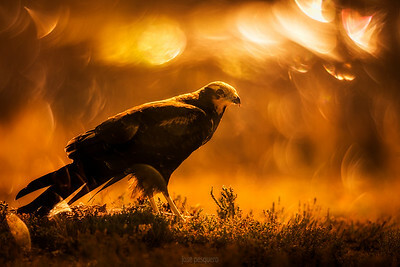 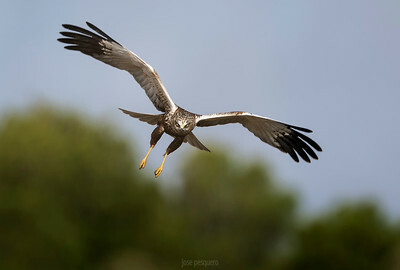 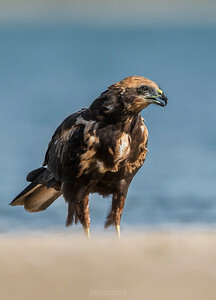 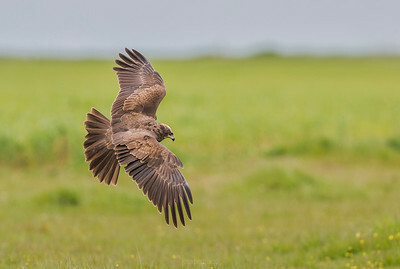 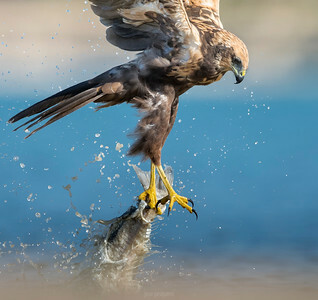 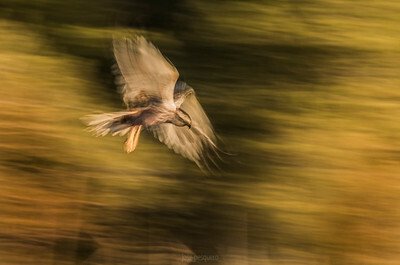 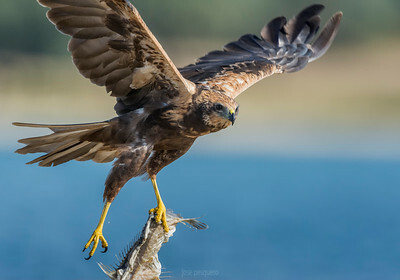 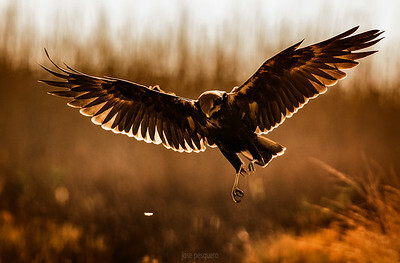 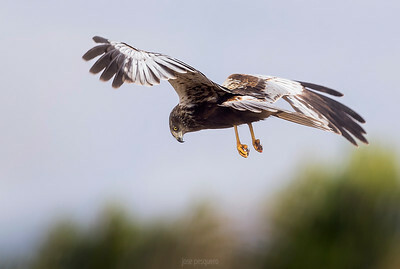 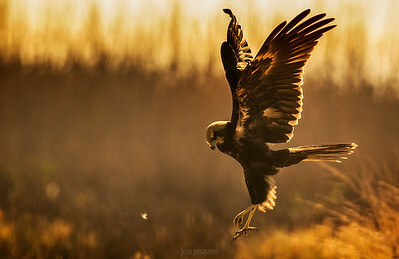 The Western Marsh-harrier (Circus aeruginosus) is a large harrier, a bird of prey with 43 to 54 cm in length, and has a wingspan of 115 to 130 cm and a weight of 400 to 650 g in males and 500 to 800 g in females. 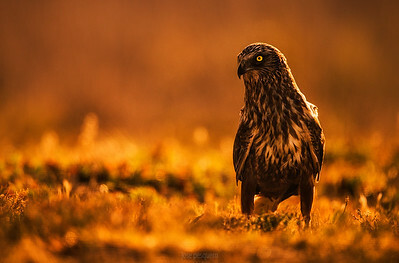 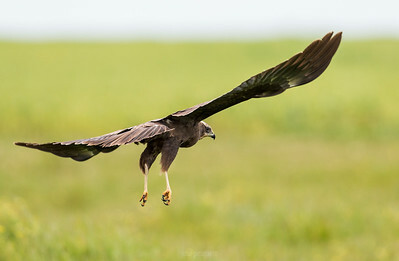 It is a large, bulky harrier with fairly broad wings, and has a strong and peculiar sexual dichromatism. 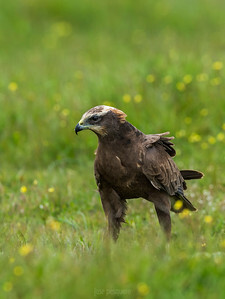 The male's plumage is mostly a cryptic reddish-brown with lighter yellowish streaks, which are particularly prominent on the breast. 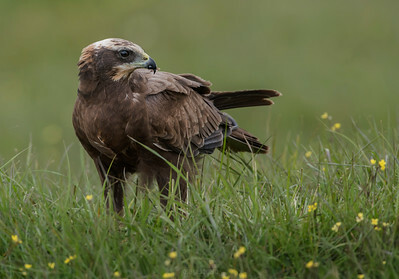 The head and shoulders are mostly pale greyish-yellowish. 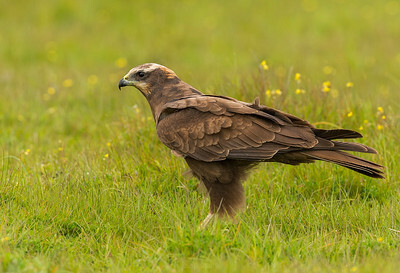 The female is almost entirely chocolate-brown. 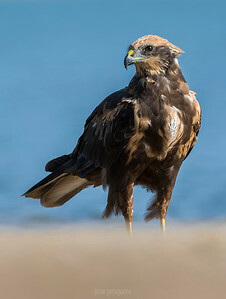 The top of the head, the throat and the shoulders have of a conspicuously lighter yellowish colour; this can be clearly delimited and very contrasting, or (particularly in worn plumage) be more washed-out, resembling the male's head colors. 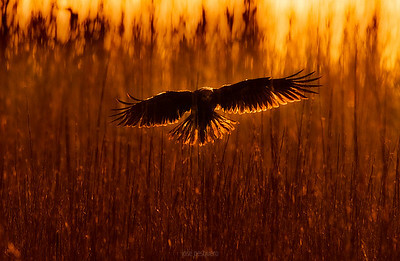 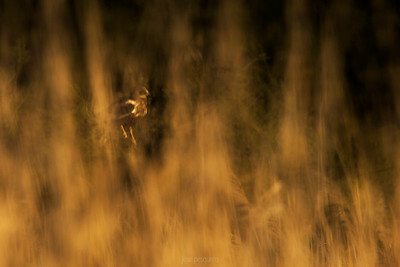 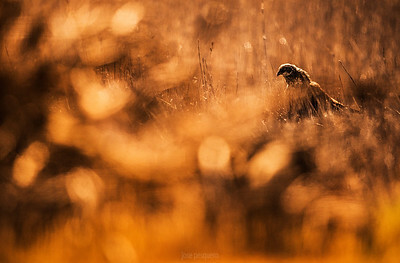 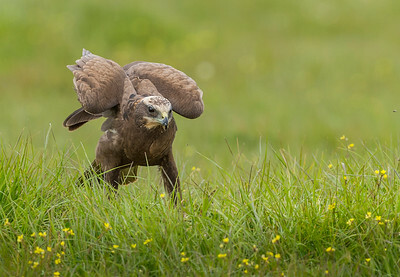 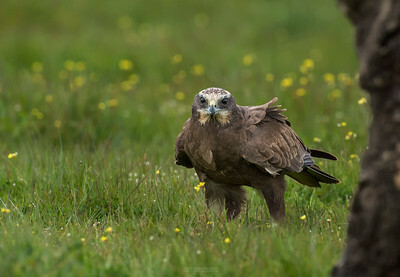 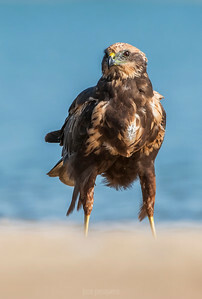 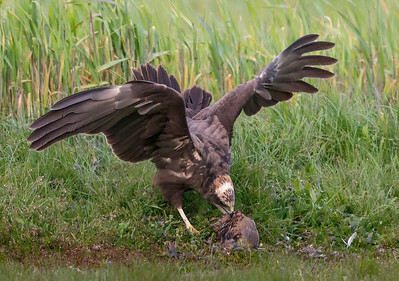 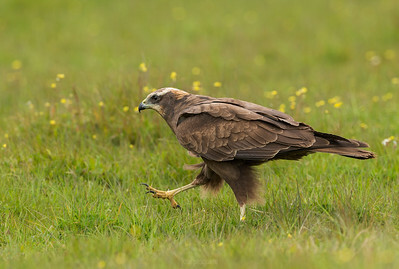 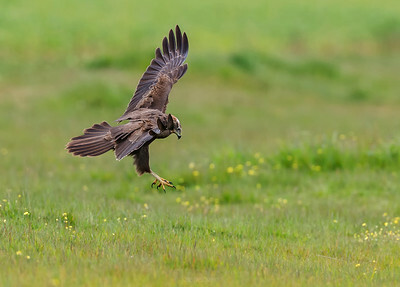 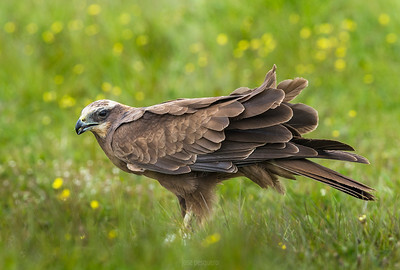 Western Marsh Harrier standing on the green ground. 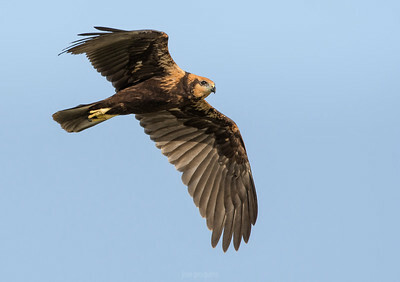 Western Marsh Harrier in flight over the green ground.